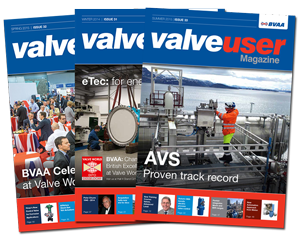 The definitive valve and actuator industry magazine delivered to your door four times a year! I have the best job in the World! Why? Simple really. Aside from the incredible diversity of our work here at the BVAA, I also get to meet such a wide variety of people. 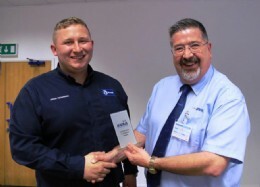 One day I�ll be sat across a desk from an all-powerful CEO � a captain of industry - the next I�ll be with a humble soul doing vital, but largely unsung work in his company. There�s the odd rogue, but generally, they�re all pretty special I find. Don�t worry, your High Lord of Cynicism hasn�t suddenly become a treehugging vegan! But over the last few years, I�ve had more opportunity than perhaps most to spend a lot of time with the younger end of our industry�s demographic. Indeed, the one cadre I never ceased to be amazed by are our Future Leaders. By that I don�t necessarily restrict myself to those fortunate enough to be on the BVAA�s programme of that name, but in the widest possible sense. Those coming through the ranks, showing promise and insight, who have the drive and character that marks them out to be potential captains of industry themselves. One day. And �one day� is, I�ve come to understand, a bit of a sore point. It�s my own humble opinion of course, but there appears to be � at least to some of them � a lack of recognition of their achievements, great or small. The fact is though, these youngsters are different. I was recently prompted to ask one directly what it was that was frustrating them so. Was it the lack of advancement? A firm �no.� There was clear recognition that advancement was invariably tied with experience and opportunity. There was no gripe with that per se. Was it an issue with the lack of �recognition� then? �Yes! Definitely,� came the reply. Were they asking for the World? No not at all. Indeed, it appears that even the smallest nod of acknowledgement was all that was required. And, crucially, the need to see a clear path towards progression, be that a position, but oftentimes just a clear route to further advancement, however incremental. Perhaps simply a positive response to funding for a course they�ve highlighted, or indeed support for a higher qualification, etc. It�s not Rocket Science, but perhaps we all ought to think back to the frustrations of our own youth sometimes, and think about how we can encourage those who will eventually take our places. BVAA at 70 - Stronger than ever! : Hello and welcome to the eleventh issue of Valve User magazine!